Have you ever experienced a situation where your body begins to itch few seconds after contact with water? And after a time-frame of about 2 minutes to 2 hours, it subsides? 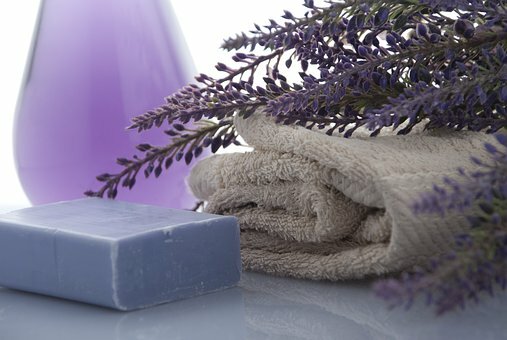 Today, we will look at few aquagenic pruritus treatment options after getting some basic understanding. By the way, this condition described above is called Aquagenic Pruritus. 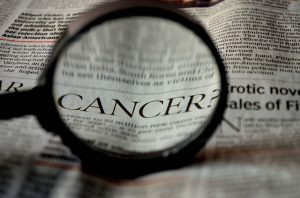 And while this is a difficult topic to discuss because there is little or no information on the causes or even a possible and certain cure to all the cases, we will be discussing the major things you need to know about it and how best to get relieved in this post. Aquagenic Pruritus. And that is derived from Latin: Aquagenic means water-induced, and pruritus, means itch. Also, sweating can cause frequent symptoms even in the dry weather. Aquagenic pruritus is a medical condition where physical contact with water of any temperature (it doesn’t matter if the water is hot, warm, or cold) will cause your body to start itching intensely. This itching however does not produce any physical and visible changes on your skin. Most times, the itching starts immediately after you touch water and you could experience this itching for close to an hour or even more. In some cases of Aquagenic pruritus, more than one family member has been diagnosed with the same condition which makes it possible to speculate that it could be hereditary. It could also be a symptom of Polycythemia Vera which is a cancer in the blood that grows really slowly where your bone marrows start making too many red blood cells. The excessive number of red blood cells make your blood really thick and slows down the flow of blood which could in turn cause blood clots, strokes, or heart attacks. (Now, I had to define Polycythemia Vera for those who haven’t heard of it before or even know it exists). So, Aquagenic Pruritus could be a symptom of Polycythemia Vera or a host of other medical conditions. The main symptom of Aquagenic Pruritus would most likely be the itching immediately after contact with water. It does not come with a fever or any other accompanying symptom. What you’ll just notice is that your body itches seriously after you have had your bath or contract with water and you don’t see any rashes or lesions on your skin. All you know is that your body itches in certain areas. The part of the body that gets affected the most are the legs. They itch the most and even more frequently than other parts of the body. The next in line would be your arms, your chest, your back and your abdominal region. It is quite rare to experience facial itching, itching on the head, the neck or even the hips. However, your palms will most likely not itch and the same goes for the soles of your feet and the mucous membranes in your body (like your mouth). There is rarely any other symptom for the diagnosis of Aquagenic Pruritus. 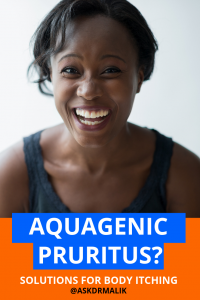 So, if you already experience any of the previously mentioned symptoms on a consistent basis, then you might most likely have Aquagenic Pruritus. You have to go to a medical professional though to get a clear diagnosis before taking matters into your own hands. This section of the article will be filled plenty of medical jargon but you should know that the main cause of Aquagenic Pruritus has not been discovered and is not known till date. However, like I mentioned earlier, it could be a symptom of Polycythemia Vera and while you might not have Polycythemia Vera at the moment, you might be diagnosed with the disease in a few years. Aquagenic Pruritus may also be a symptom of, (and here comes the medical jargon), myeloproliferative neoplasms, Hypereosinophilic syndrome, myelodysplastic syndromes and also juvenile xanthogranuloma. If you are lactose intolerant or a patient of hepatitis C, then these conditions might induce Aquagenic Pruritus. A couple of people who have been treated with drugs like Chloroquine (Antimalarial Drug), Clomipramine, Hydroxychloroquine and also Bupropion have been known to suffer a brief period of Aquagenic Pruritus. In this case, it is known as drug-induced Aquagenic Pruritus. Other causes of Aquagenic Pruritus could be increased mast cell granulation, release of Acetylcholine, increased circulating histamine and also Increased skin fibrinolytic activity. It could also be hereditary, though, no particular gene has been found out as the gene that is solely responsible for transferring the trait from parent to offspring yet. However, if more than one family member has the same issue, it could be a possibility. Presently, there is no specific test or examination for the diagnosis of Aquagenic Pruritus. The major way for diagnosing the condition is by ruling out other medical conditions. The first criteria for diagnosis would be the itching after contact with water without any physical reaction on the skin. It is important that you don’t have rashes or any physical reaction on the skin in the course of the itching else it becomes Aquagenic Urticaria. Other criteria involve ruling out other conditions like any form of skin disease or other medical conditions that have this condition as a symptom. Take your bath with warm water (hot baths help some people). Dry your body immediately and very well after bathing. Use the fan or air conditioning. There are a couple of medical treatments that could help with the itching but a specific treatment for all cases has not been discovered yet because of the scarcity of information surrounding the root cause of the itching. However, you could use baby oil or any skin softener that repels water just before you take your bath and after you take your bath too. You could also add sodium bicarbonate the water you would use to bathe. Your doctor may also treat you with anti-allergy drug, antihistamines drugs, Clonidine, Atenolol, UV therapy or PUVA therapy, and so on. Your doctor, based on his discretion in managing the symptoms, may use injections, oral drugs or topical creams (like this one). This medical condition may induce phobia for water, hatred for bathing and even phobia for swimming. Some people also suffer from emotional distress and constant anxiety as a result. 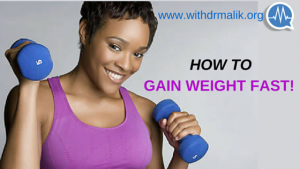 In general, it reduces the quality of life that a person should normally experience but you could make this work. All you need to do is ensure minimal contact with water and if you have to be somewhere and you need to take a shower, then take that shower a bit early to give time for the itching to subside so you can step out feeling okay and confident. Have you suffered or do you still suffer from Aquagenic Pruritus? Have you tried any aquagenic pruritus treatment that works for you? MY HUSBAND IS ALWAYS SCRATCHING HIS BACK-SIDE! COMMON COLD: THIS COLD AND CATARRH IS KILLING ME!